There are those out there who believe the Powers That Be announced Brie Larson as the new Captain Marvel far too soon. Without a director at the helm – that we know of, mind you – the standalone pic is still very much in a state of infancy, and it’s this lack of visible progress that is so often misconstrued on Internet forums and the like. Nevertheless, a March 2019 release date is locked in for Captain Marvel, and in anticipation of her appearance in Ben Wheatley’s old-school shootout Free Fire, Collider caught up with Brie Larson to discuss all things Carol Danvers. Larson, who’s coming hot off the relatively successful Kong: Skull Island, has stressed a desire to project a “symbol of strength” in Captain Marvel, who will become the first female Marvel character to headline her own spinoff movie in two years’ time. That’s a responsibility that Brie Larson isn’t taking lightly, either, and here, the Oscar-winning actress pinpointed the reasons why she was attracted to the part in the first place. It certainly seems cool to us, too. 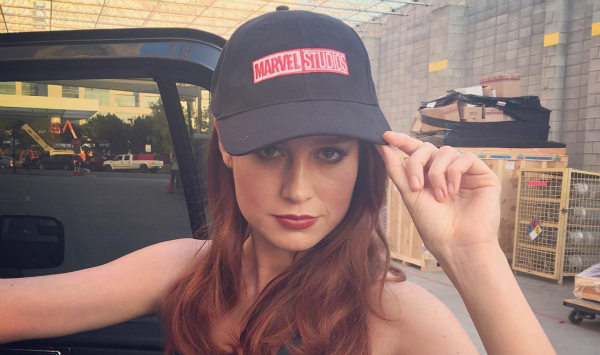 Brie Larson and the creative team involved in Captain Marvel (see: Nicole Perlman) are clearly approaching the source material in an assured, pragmatic way, and molding Carol Danvers to be a compelling, nuanced character sounds ten times more interesting that pumping out a hackneyed stereotype. As things stand, Captain Marvel is on course for a release in March of 2019.